Kenny Chesney’s tour bus was parked for all of 2014 but beginning on April 24 at Mohegan Sun Arena in Connecticut, Kenny kicks off his much anticipated 2015 Big Revival Tour with country superstar guets Jason Aldean, Eric Church, Brantley Gilbert and Chase Rice on the bill playing select tour dates! Don’t miss the Academy of Country Music’s 4-time Entertainer of The Year Kenny Chesney & Company entertain thousands of Country Music fans on his 2015 Big Revival Tour! 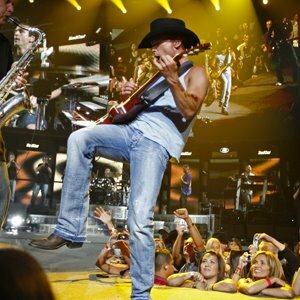 Order your Kenny Chesney concert tickets online today and save. The following events and venues match your search for “Kenny Chesney”. To sort the list, click on the column header. To find tickets for the given event, date & time, click the tickets link in that row. To find events taking place at a matching venue, click that venue name. RT @McrMusicTours: We can’t wait for our big The Smiths tour in under two weeks time! We can’t wait for our big The Smiths tour in under two weeks time!